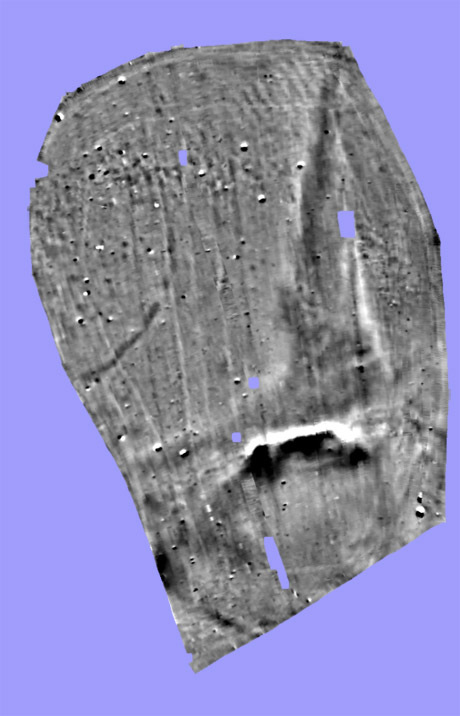 Prior to the excavation season for 2012, a geophysical survey (including magnetic, radar, resistive techniques) was carried out at the site identified in 2011. This work was carried out by staff of the Institute of Geosciences, University of Kiel, led by Prof. Dr. H. Stümpel. The preliminary results of this survey were available for the start of excavation and were used to help decide the best locations to open exploratory sondages. A number of anomalies were investigated but so far only one area was confirmed to relate to the necropolis. A detailed evaluation of the results is pending. Only then will we see whether further information about the extent of the necropolis can be gleaned from the geophysical measurements. Geomagnetic prospection on one of the local hilltops. A. Slawisch, 2018. Project Panormos: Geophysics; 27 Mar 2018. <http://www.panormos.de/pp/geophysics/> accessed 22 Apr 2019.